Henrikh Mkhitaryan’s horror spell at Manchester United could soon come to an end after reports from The Sun claim that Armenian international is set to quit Old Trafford in January after failing to impress Jose Mourinho. Mkhitaryan signed for United in a £30million deal from Borussia Dortmund earlier this summer but has started just one match for his new club in last 6 months. Mkhitaryan was taken off at half-time against Manchester City and has not featured in any of the matches since then. Following his horror display in the derby, Mkhitaryan has struggled to force his way into Mourinho’s matchday squads and there have been growing reports of an unrest between manager and the player. According to reports, Mkhitaryan is struggling with a thigh injury and has failed to impress Mourinho and is now likely to be sold in the upcoming January transfer window. The Sun are convinced that United are ready to listen to the offers for the Armenian international star. What has gone wrong for Mkhitaryan? The Bundesliga player of the year was expected to take the Premier League by storm since joining United in the summer but his injuries and lack of clarity from Mourinho has not helped Mkhitaryan’s case. Jose Mourinho is still torn between choosing an ideal system for his players where he has constantly shuffled between 4-2-3-1 and 4-3-3. 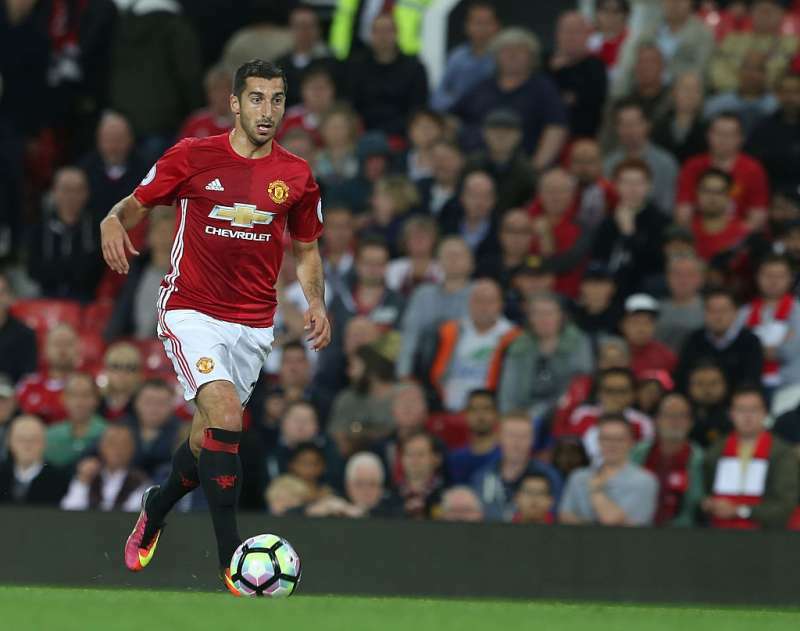 Although Mkhitaryan has started just one game for United but fans are yet to know what would be the player’s ideal starting position this season. At present, Juan Mata, Wayne Rooney, and Paul Pogba are Mourinho’s first choice players to play in the number 10 role at United which makes it even more difficult for Mkhitaryan to break into the starting XI when he returns from his injury woes. Prior to his move to Old Trafford, the stylish playmaker was linked with a move to Arsenal and Liverpool but the 27-year-old decided to join United. While a January move still looks highly unlikely but big clubs all around Europe must be ready to make their move if United decide to let their £30million leave without even giving him proper game time. Likes of Barcelona, Atletico Madrid, Arsenal, Tottenham Hotspur and perhaps Manchester City will be interested in signing Mkhitaryan, who contributed in 28 goals for Borussia Dortmund last season.